Vitamin B12 plays a key role in the normal functioning of the brain and nervous system (and the formation of blood). One of its analogs, methylcobalamin, which is considered an active form of vitamin B12, exerts neural protection by encouraging the regeneration of injured nerves and serving as an essential vitamin for promoting proper brain development. Methylcobalamin is required for the formation of the myelin sheath and nerve fibers. Without it, irreversible nerve damage may take place. One such example where a lack of methycobalamin has been associated with neurological impairment is peripheral neuropathy. Recent clinical and experimental studies have demonstrated that methylcobalamin may also have soothing effects for patients with diabetic neuropathy (DPN) by improving nerve conduction. Although it is widely accepted that methylcobalamin is necessary for the maintenance of the nervous system, the precise mechanism of this effect remains largely unknown. More attention is being paid to these effects as mediated by the methylation cycle, a metabolic pathway involving methylation reactions. One study shows that methylcobalamin does, in fact, increase extracellular signal-regulated protein kinases 1 and 2 (Erk 1/2) and protein kinase B (also known as Akt) activities through the methylation cycle. The Erk 1/2 are members of the mitogen-activated protein kinase super family that were initially believed to regulate cell proliferation and apoptosis, but are now believed to mediate inflammatory responses, as well. Protein kinase B is a key signaling protein in the cellular pathways that lead to tissue growth. In one study, inhibiting the Erk signaling pathway decreases T cell DNA methylation, resulting in the replication of the defects found in lupus T cells. These pathways and their integral association with methylation are under continuous exploration as vehicles for promoting health. In a rat sciatic nerve injury model, continuous administration of methylcobalamin improved nerve regeneration and functional recovery due the increase in Erk 1/2 and Akt activities through the methylation cycle. Another mechanism to examine is vitamin B12’s impact on increasing the availability of noradrenaline and serotonin (5 hydroxytryptamine), two chemicals in the descending inhibitory nociceptive system that provide analgesic effects. DPN affects approximately 44% of elderly diabetics who may experience symptoms affecting their quality of life such as hot, burning or cold sensations, aching, itching or increased skin sensitivity. In extreme cases, there may even be complete sensory loss. According to the histological findings, the long-term administration of methylcobalamin promoted the regeneration and synthesis of myelin resulting in improved normal nerve function and nerve conduction velocity. Diabetic neuropathy is hard to control and current clinical guidelines for diabetic neuropathy are limited to adequate glucose control and symptom relief. Clinical applications of methylcobalamin need further investigation and may offer a shimmer of hope. The effects of the single use of methylcobalamin or combined with other vitamins were reviewed in various studies. Researchers conducted a systematic review in June 2005 on the effects of methylcobalamin on diabetic neuropathy consisting of 7 randomized controlled trials (RCTs). It was concluded that, among patients with diabetic neuropathy, administration with both combination and single-use methylcobalamin appeared to improve symptoms. An estimated 80% of the population experiences back pain at some point in their lives. In a double-blinded, randomized, controlled experimental study, out of the 60 participants, 33 were selected to be part of the methylcobalamin group and 27 the placebo group to monitor pain scores related to the back. An intramuscular injection of 500 mcg parenteral methylcobalamin in 1ml solution three times a week for two weeks as administered in the first group, and the latter received 1 ml normal saline solution. Participants were assessed before the injections and at 2-month intervals. Compared to the placebo group, the methylcobalamin group reported significant improvement. In other studies highlighting the soothing effects of methylcobalamin, it was shown that patients with neck pain accompanied by paresthesia and spontaneous pain found comfort once methylcobalamin was administered. Methylcobalamin studies abound with enormous bragging rights. A double-blind, randomized, placebo-controlled trial, a total of 42 participants suffering from mouth ulcers: 22 were included in the experimental group and 20 in the control group. Participants in the experimental group received vitamin B12 ointment for 2 days and pain scores were assessed before and after the intervention. After 2 days of using the ointment, improvements were found. The study suggests that vitamin B12 may be an effective analgesic agent to use for aphthous ulcers and may serve as an adjunct therapy for patients. 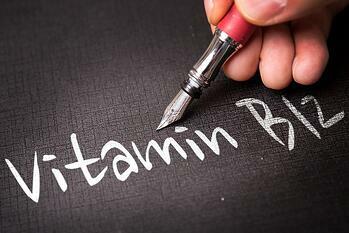 Methylcobalamin, commonly known as vitamin B12, is generally safe when taken at appropriate doses. The recommended daily amount of vitamin B12 for adults is 2.4 micrograms. Methylcobalamin is the natural, active form of vitamin B12, and absorbs easily since it is the principal circulating form of B12.